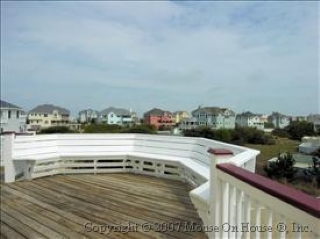 Bella Vista- Pine Island- Private Pool- 700 ft. to the ocean! 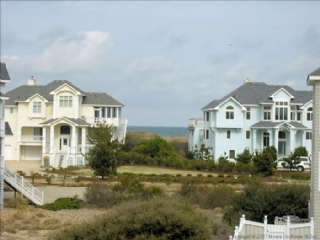 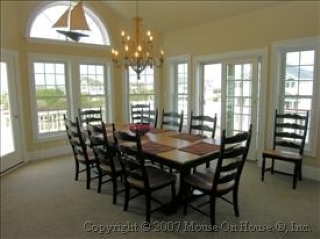 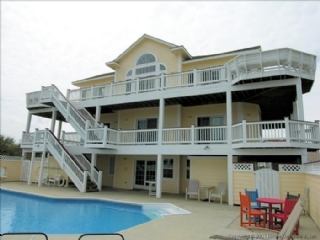 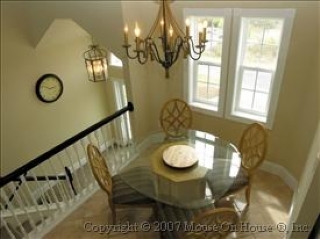 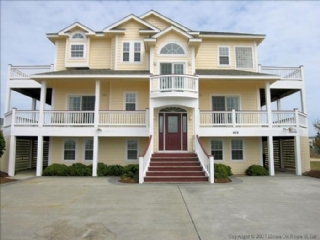 Located in sought-after Pine Island and just 700 feet to the ocean, a Bella Outer Banks vacation retreat awaits family & friends at this beautifully appointed home. 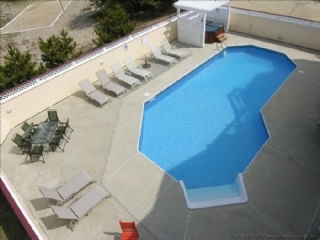 Interior and pool deck redesign include new designer furnishings and bedding, state-of-the-art Plasma HD/TVs and DVDs. 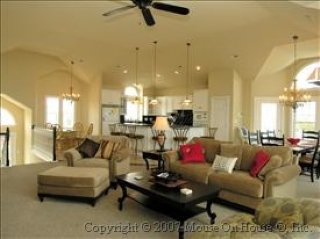 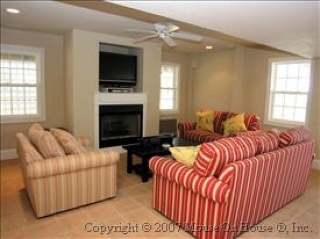 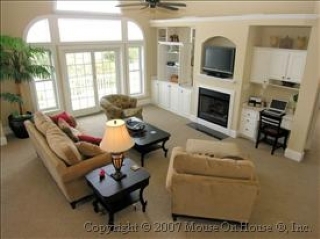 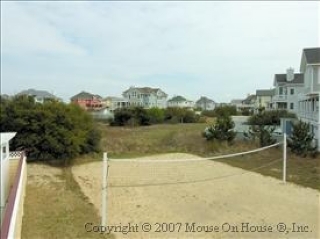 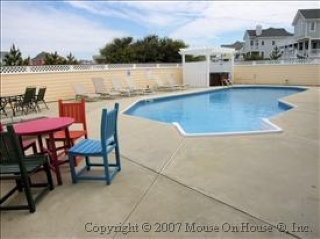 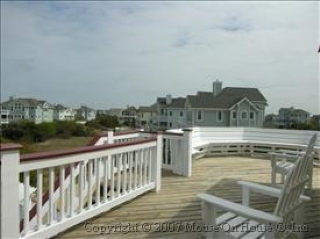 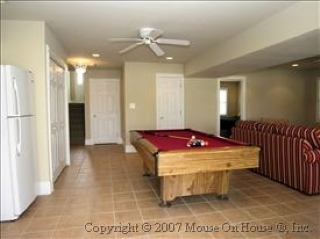 Enjoy the private pool and hot tub, ample lounging and dining furniture; wraparound decks, and sand volley ball court. 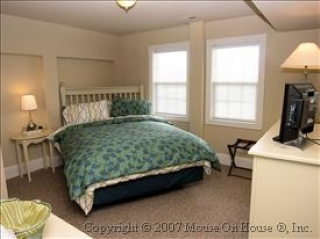 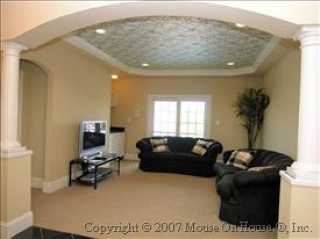 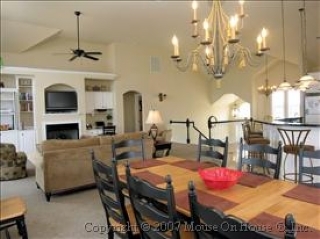 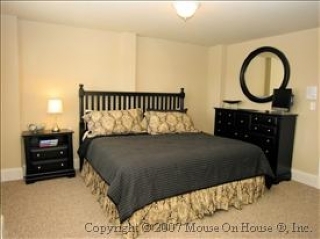 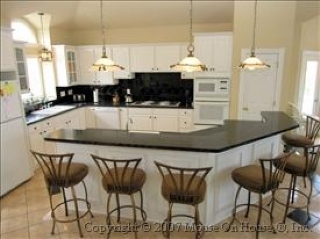 Meticulous attention to detail is obvious and centered on comfort and a multitude of family conveniences. 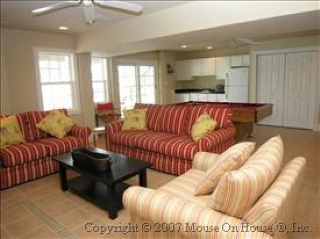 Whether it's a quiet day reading on your private deck or entertaining poolside, you will want to return again and again to Bella Vista. 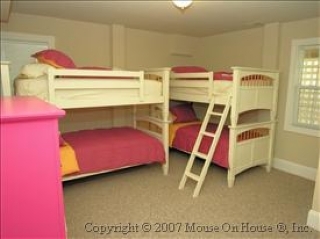 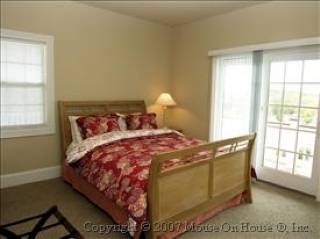 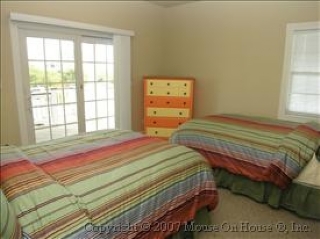 Level 1: Master Bedroom (King); Bedroom (Queen) with TV and Bedroom (2 Bunks) share full bath; Game room with pool table, and kitchenette with all of the conveniences for pool side entertaining; Family Room with flat screen TV/DVD; Laundry. 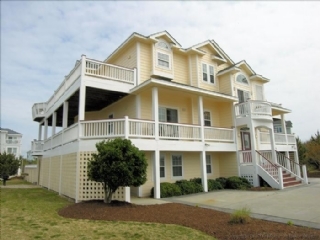 Level 2: Master Bedroom (King) with TV & deck access; Master Bedroom (Queen) with TV & deck access; Master Bedroom (Queen) with TV & deck access; Master Bedroom (2 Doubles) with TV & deck access; den with Plasma TV/DVD, wet bar and deck access. 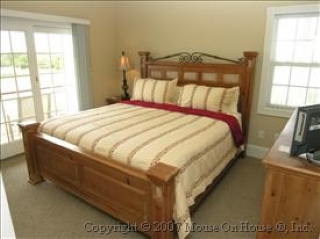 Level 3: Master Bedroom (King) with whirlpool tub, large shower, TV/DVD and deck access; Large sun-drenched great room with vaulted ceilings, flat screen TV/DVD and built in desk area with wireless internet access; dining area with seating for 10; gourmet kitchen with double dishwashers and large breakfast bar with seating for 6; half bath.